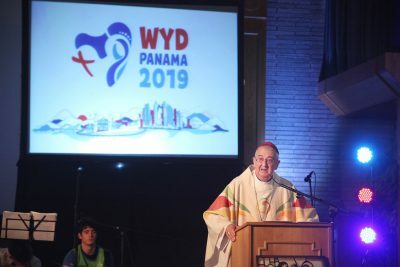 “If we begin to think that we have all the answers about faith, then we have become trapped in our own ways of thinking,” Archbishop Diarmuid Martin told young people who attended the Panama in Dublin WYD event. Fears over a “growing polarisation” within the Church prompted Archbishop Diarmuid Martin to hit out at those who use “nastiness and hatred” to hammer home their message. At a Mass at the Emmaus Conference Centre in Dublin for young Irish Catholics who could not travel to Panama for World Youth Day with Pope Francis, the Archbishop expressed concern over “certain groups who seem to think that they have a right self-righteously to proclaim threats in the name of how they understand the truth”. He stressed that faith does not produce “conformism” but challenged believers to be different and to be truly authentic in their life and in their choices. But if the message becomes stale in people’s lives, then they lose their the way. 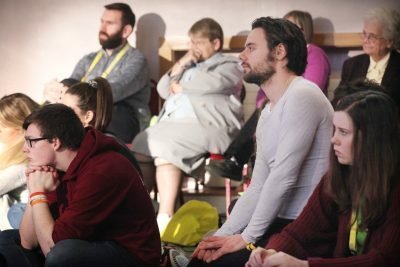 “If we begin to think that we have all the answers about faith, then we have become trapped in our own ways of thinking,” Dr Martin told the assembled young people from parishes across the Archdiocese of Dublin. Contrasting how life was when he was growing up, and the limited choices available to people, he said that life today is very different. Referring to his almost 50 years as a priest and 20 years as a bishop, the Archbishop said he had seen many changes and been called to challenges that he could not have imagined.